Beach Nut soap is great for really dry skin, sunburned skin and those of us not blessed with much hair. I use this soap everyday to keep my skin clean and moisturized. 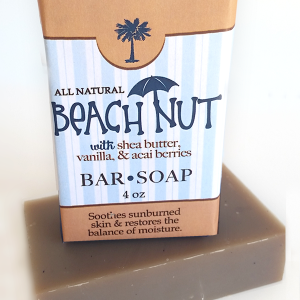 Beach Nut is infused with Shea butter to help the skins natural balance and moisture. 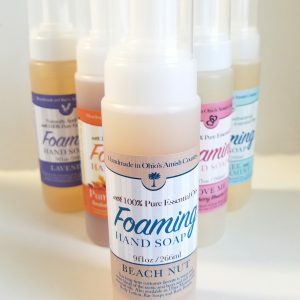 Our unique and famous Beach Nut line is a combination of Acacia berry oil and Vanilla oil. Some say it smells like Vanilla, others Butterscotch. You be the judge, you’ll love it Locally made in the heart of Ohio’s Amish Country. 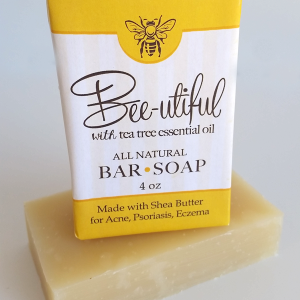 A great soap for relief from eczema, psoriasis, acne and rosacia. Moisturizing and cleansing soap that makes your skin healthy and clean. 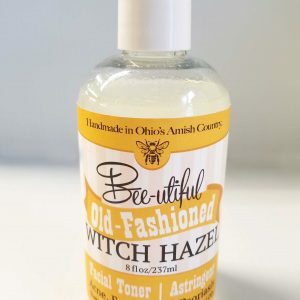 The newest addition to our Beeutiful skincare line is our Witch Hazel Astringent and Facial Toner enriched with 100% essential oils, specifically blended to help relieve acne, reduce blackheads, plus freshen and brighten skin in both teens and adults. Simply swipe this all natural Which Hazel toner over clean skin with a soaked cotton pad to help balance the skin’s natural PH as well as control oil and minimize the appearance of pores. Not recommended for those with severely dry skin. 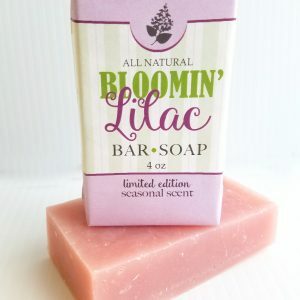 Soft and sweet, our handmade customer favorite and our top selling seasonal spring bar soap is back for 2019. Bloomin’ Lilac is a one of our limited edition seasonal scents and a favorite that our customers wait all year long to get their hands on. Delivering a fresh and uplifting spring floral scent every time you lather up, it smells like you’ve just picked fresh blooms off the bush! Like all of our products, the Blooming Lilac line is 100% all natural and contains no chemical preservatives or fillers of any kind. Locally made in the heart of Ohio’s Amish Country. Great for face and body. 2019 stock is limited so stock up while you can! 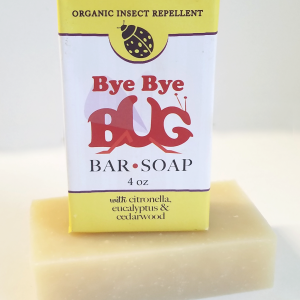 Our all natural bug repellant soap made to give you two hours of outdoor enjoyment, whether your gardening, fishing, hiking, walking, jogging, washing the car or just sitting out enjoying the sun. Just lather in the shower and let it sit on the skin for about a minute, rinse and enjoy your day. For extra long protection check out our Bye Bye Bug spray as well. 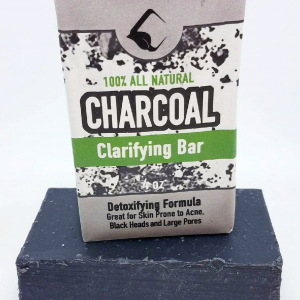 Our activated charcoal soap is specially formulated to help relieve acne and skin dermatitis issues. This all natural detox bar is infused with activated charcoal and 100% pure lemongrass, lavender, and tea tree essential oils. Use in combination with our Charcoal Detox Mask for glowing, problem free, beautiful skin! Want a better kind of clean? 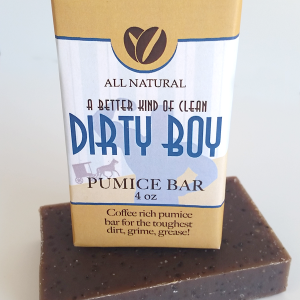 We have a soap that is ready for any kind of “Dirty Boy”. Mechanics, gardeners, farmers, fishermen, factory workers, chefs all love the gentle cleansing power of this coffee rich pumice bar. Cleans the toughest dirt, grime, grease and more from the skin while leaving it feeling soft and smooth. Not recommended for the shower, use with a nail brush for nail bed, use a protective dish for delicate sinks. 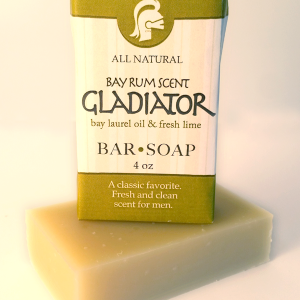 Our Gladiator Bar Soap is made with the Bay Laurel oil and has an entire Lime ground and added. The soap has a strong manly aroma that is popular with men and women. The Bay Rum smell was the most popular male scent prior to 1941.